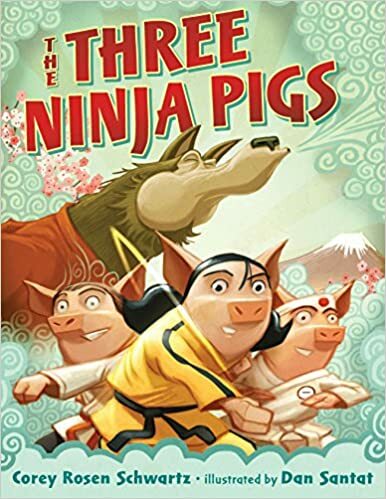 I thought it would be fun to do a sort of ninja unit study in our homeschool, where we basically just read all the ninja book I could get from the library, and did a few ninja-related crafts. It made for a really fun week. Although we read many more, these were the ones the kids asked for over and over again and the ones I’d want to add to our picture book collection if money were no object. 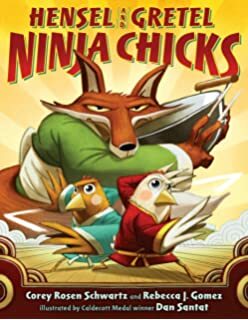 These hilarious re-tellings of fairy tales cast the protagonists as ninjas-in-training. I loved the way each book emphasized practice and hard work. 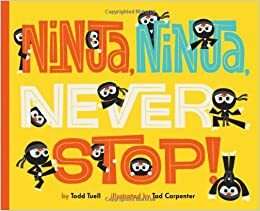 This simple picture book follows a ninja boy as he sneaks through the house, steals a cookie, escapes a kiss, only to be out-ninja’d by his younger brother. My kids especially enjoyed this one for its sibling relationship. 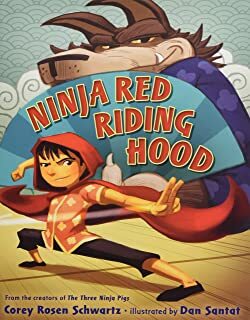 I loved this book for the way the illustrations fit and added meaning to words. 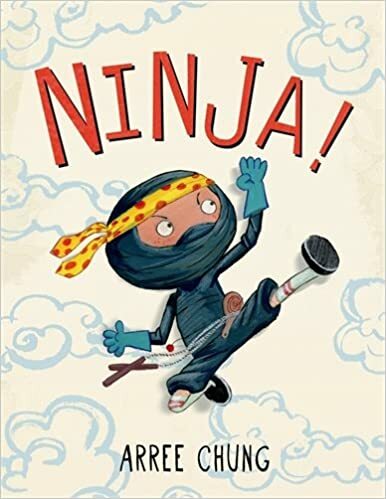 The book describes what a good ninja needs and does while showing us a the main character in action, but not always making the best decisions! We did ninja training in our basement. This is something Porter made up, and basically includes him doing exercises with his dad. He asks to do this all the time and thinks its a blast to hold downward dog or practice a push-up. Draw a ninja using this YouTube tutorial. We didn’t do this during our ninja week only because we’d done this one A LOT when we first discovered it. In Porter’s tae kwon do class the teacher will often have them practice a few minutes of quiet meditation. Next time around I’d take this opportunity to talk a little bit about the benefits of meditation (I know there have to be children’s books on this) and try to practice a short 3- minute meditation a few times a week. These ninja stress balls would make a cute addition to this meditation introduction.